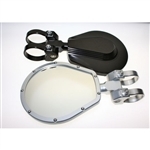 Adrenaline Junkee offers a great selection of aftermarket UTV mirrors and other accessories for all types and brands of UTV. We strive to provide our customers with outstanding products at the lowest possible prices. At Adrenaline-Junkee.com, your satisfaction is always guaranteed. Start saving today!